This circuit is the power source circuit for the meter. 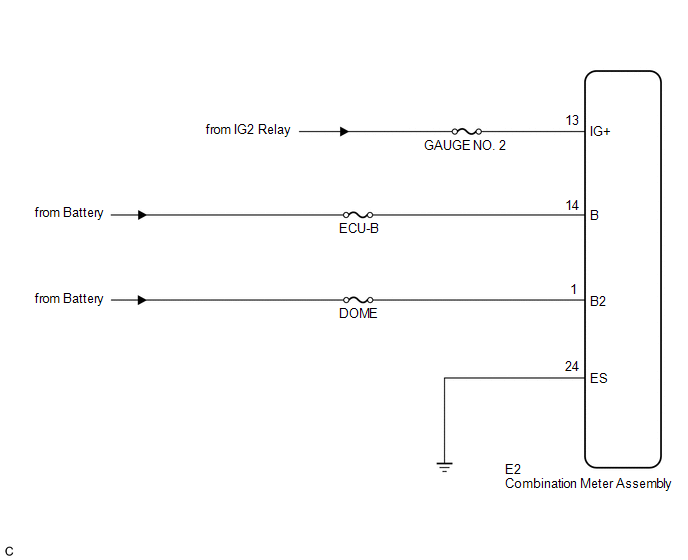 This circuit provides two types of power sources; one is a constant power source mainly used as a backup power source, and the other is an IG power source mainly used for signal transmission. The constant power source is mainly used as a backup power source for the meter CPU, however, it is also used for CAN communication. 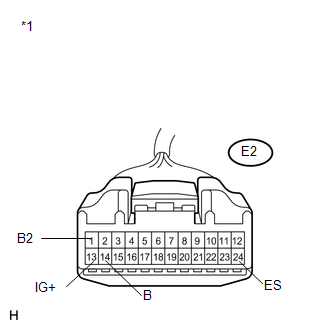 If a voltage of 12 V is not applied to terminal IG2 when the ignition switch is turned to ON, the indicator will not operate. (a) Disconnect the E2 connector.